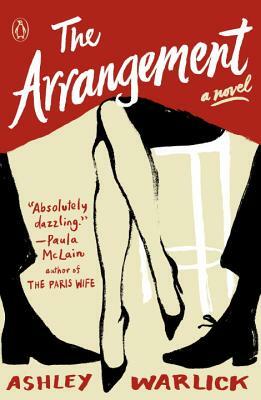 Set in California, France, and the Swiss Alps, The Arrangement is a sparkling, sensual novel that explores the complexities of a marriage and the many different ways in which we love. Writing at the top of her game, Ashley Warlick gives us a completely mesmerizing story about a woman well ahead of her time, who would go on to become the legendary food writer M. F. K. Fisher. Ashley Warlick is the author of four novels. Her work has appeared in Redbook, The Oxford American, McSweeney’s, and Garden and Gun, among others. The youngest ever recipient of the Houghton Mifflin Literary Fellowship, she has also received a fellowship from the National Endowment for the Arts. She teaches fiction in the MFA program at Queens University in Charlotte, South Carolina, and is the editor of the South Carolina food magazine edibleUpcountry. She is also the buyer at M. Judson, Booksellers and Storytellers in Greenville, SC, where she lives with her family. "The sensual adventures of food writer M.F. K. Fisher will keep the pages turning." —Parade.com, "10 Romantic Reads for Valentine's Day"
"If you occasionally partake in culinary pleasures, you'll probably enjoy digging into Ashley Warlick's novelization of beloved food writer M. F. K. Fisher's life." "A delight....Though The Arrangement is about marriage and friendship in the 1930 and 1940s, the novel’s story of a woman and her work is timeless." "[The Arrangement] offers a lovely, affectionate portrait of the complicated woman who would become M.F.K. Fisher." "Stellar . . . A beautifully written treatment of love in its different forms." "Food writing fans may want to check out a novelization of the life of M.F.K. Fisher, focusing on . . . the more salacious personal details of the beloved food writer’s life." —The Millions, "Most Anticipated Books of 2016"